Pioneers in the industry, we offer saline plasma bipolar cutting loop, saline plasma bipolar enucleation loop, urology/ hysteroscopy saline plasma bipolar working element, saline plasma bipolar working element, working element for saline plasma hysteroscopy and storz compatible working element for bipolar urology from India. It is also known as Plasma bipolar cutting loop, Cutting loop for urology, cutting loop for resection. Can be connected as Double/Single stem electrode. We deals in Saline Plasma Bipolar Enucleation Loop. We manufacturer Active & Passive working element for saline plasma bipolar resection instrument with different types of loops. Device can be for Urology & Gynecology for Saline Plasma bipolar resection. Working element for bipolar resection. Used for various applications like saline plasma TURP, saline plasma TCRE. Can be used with all resectoscope. Available as both active working & passive working element. Activated by pushing handle in proximal or distal direction. 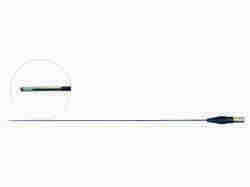 Used for gynecological applications like Transcervical resection of endometrium(TCRE), Operative hysteroscopy. Can be both active & passive working element. 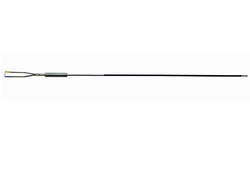 Activated by pulling handle ring in distal or proximal direction. Made of high quality medical grade stainless steel. It is also known as Resectoscope for urology, resectoscope for saline plasma bipolar resection, Resectoscope for TURP, Resectoscope for bipolar resection. Compatible with standard 26 Fr diameter resectoscope. Used for urology applications like transurethral resection of prostate(TURP), transurethral enucleation of prostate(TUEP), Transurethral vaporisation of prostate(TUVP). Also known as button electrode, mushroom electrode. Used for trans urethral vaporization of prostate(TUVP). Usage/Application transurethral vaporization of prostate(TUVP). used for transurethral vaporization of prostate(TUVP). Larger bleeders can be controlled. larger tissue area can be ablated faster. 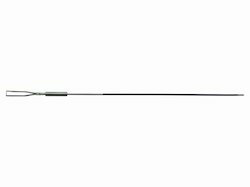 This is also known as ball electrode for hysteroscopy, Saline Plasma resection ball electode. 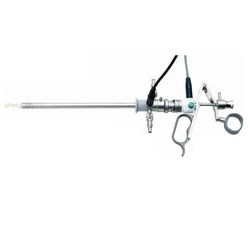 Saline Plasma Resectoscope is used for Transurethral Resection of Prostate(TURP), Transenucleation of Prostate, Tranurethral Vaporization of Prostate. Both Active/Passive working elements can be connected. It is available as 22 Fr & 26 Fr diameter scope. It is also known as Saline Plasma Resectoscope, Resectoscope for Urology, Resectoscope for gynecology. It is used for urological applications like Transurethral resection of urology, Transurethral vaporization of prostate, Transurethra enucleation of prostate. Available as 22Fr & 26 Fr diameter. Both active & passive working element can be connected. It is also known as Resectoscope for urology, Resectoscope for surgery, Resectoscope for TURP, Resectoscope for BiTUR. Size 22 Fr & 26 Fr diameter scope. It is available as 22 Fr & 26 Fr diameter. It is used for applications like transurethral resection of prostate, transenucleation of prostate, transurethral vaporisation of prostate. It is also known as Resectoscope for transurethral resection, Resectoscope for surgery, Resectoscope for TCRE. Used for transurethral resection of prostate, transurethral vaporization of prostate(TURP), trancervical resection of endometrium(TCRE), transenucleation with biopolar electrode(TUEB). Available as 22 Fr & 26 Fr diameter. It is also known as Resectoscope for gynecology, Resectoscope for TCRE. 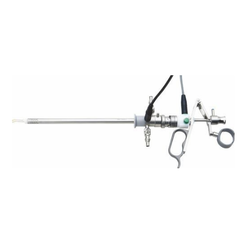 Hysteroscope sizes 4mm & 2.9 mm scope. It is used for viewing the inside of uterus & treat any disorders regarding the same. 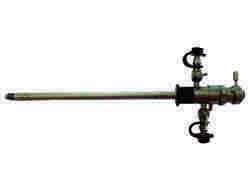 It is also known as Hysteroscope for gynecology,Hysteroscope for surgery, Hysteroscope for transcervical resection. 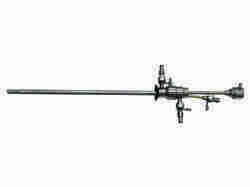 It is also known as hysteroscope for gynecology, hysteroscope for surgery, hysteroscope for transcervical resection. We deals in Saline Plasma Passive Working Element. For resection, the working element’s thumb ring is pushed in distal direction towards the handle. Passive cut performed by spring action. For resection, the working element’s handle is pulled in proximal direction towards the thumb ring. Active cut performed by operator’s manual force.